Last Summer when we were down in England on Holiday, we went to a restaurant called "Ribs 'n' Bibs" ... To say it was amazing is an understatement. The food is American Smokehouse style and its all very authentic. While we were there Agent M seen Corn Dogs on the menu and was desperate to give them a try. We ordered a plate and we all fell in love. It was such a simple snack ... A Hot dog on a stick, covered in a batter then fried. Delicious! Why do i say UK style? 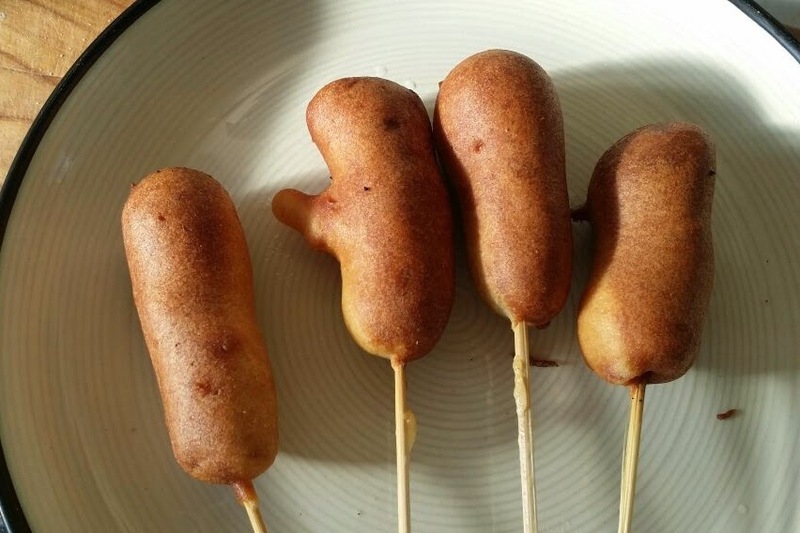 Well you see the original recipe for corn dogs used "Cornmeal" ... VERY different to what we have in supermarkets with a similar name "Cornflour". I couldn't find cornmeal the last couple of times I've wanted to try the recipe. The substitute i see alot is polenta but Agent D cant stand the stuff so i was at a loss ... Till that recipe on Pinterest. 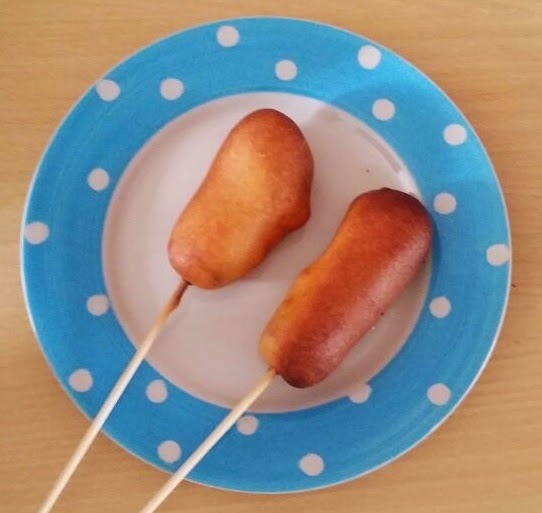 It suggested making the Corn dogs with Pancake batter ... Not strictly "corn" dogs then (hence the Alternative lol). The recipe is simple and it take about 10 minutes all in to cook. Pre-heat the your chip pan or heat up some oil in a pan. Soak the bamboo skewers in water for a few minutes then slide through the hot dogs. 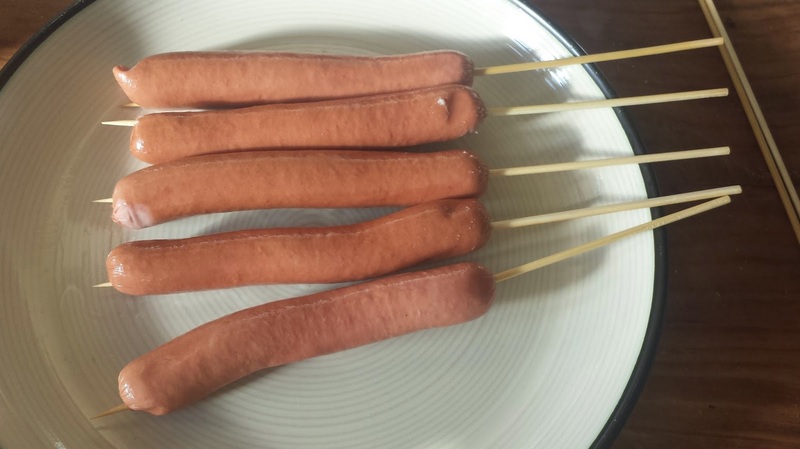 You may wish to half the hot dogs to make them more manageable to cook. Mix up the batter ingredients and coat each hot dog in the mix. Serve on their own or with ketchup and/or mustard.